HalloWeekends: Pumpkins, Ghosts, & Thrills! October is approaching, which means it’s time for HalloWeekends! The “fun by day; fright by night” festivities begin Saturday, September 16th. All of your favorite Cedar Point rides will be open in addition to Halloween-themed performances, events, mazes, and haunted houses. And the best part? 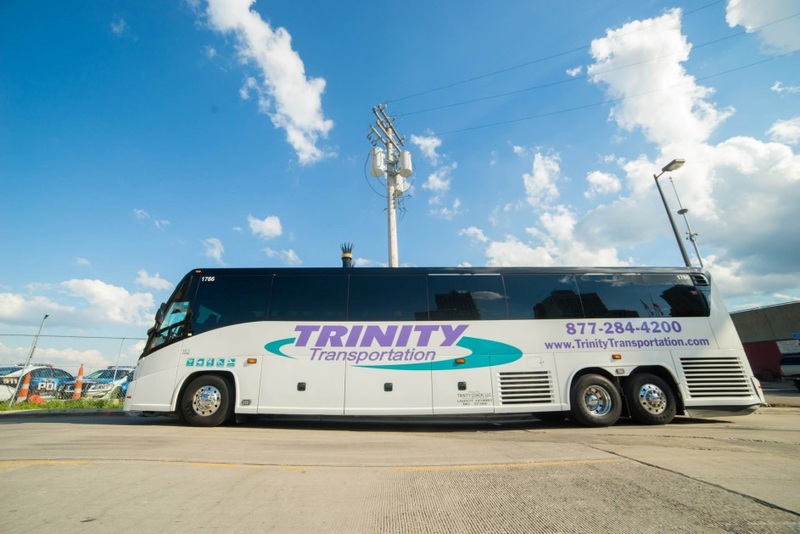 Trinity Transportation can take you every Saturday for just $79! If you’re looking for the less terrifying aspect of HalloWeekends, enjoy The Great Pumpkin Fest during daylight and have fun on your favorite rides. 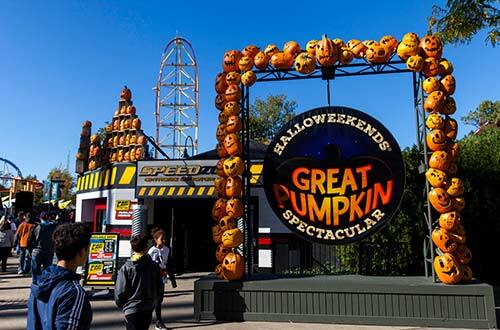 In addition to the regular Cedar Point attractions, there will be coffin races, fortune tellers, Linus’ Mummy Pit, Camp Spooky, the HalloWeekends Pumpkin Spectacular, Peppermint Patty’s Hay Bale Maze, and much more! Visit Hexed Spellbound, a house where the witches of Hexed have tempered their spells for a fun daytime haunt, and Magical House on Boo Hill, an attraction with cool surprises and an awesome treat for kids at the end! For a musical spin, check out Eternal Jamnation at the Red Garter Saloon, full of high-energy renditions of your favorite classic rock tunes. 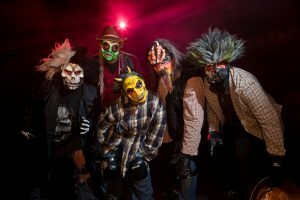 In Celebration Plaza, watch the Skeleton Crew in a cirque-style performance. Those prepared for a fright are best to stay into the evening and nighttime. With haunted houses, mazes, and more, you’re in for a thrill! Blood on the Bayou, CornStalkers, Cut Throat Coave, Harvest Fear, Maniacal Mechanical Screamworks, and Tombstone Terror-tory are all walk-throughs that will give you a scare. Deprivation is bound to terrify you – drenched in darkness, you must find your way out of the maze. Slaughter House, Zombie High School, G.A.Boeckling’s Eerie Estate, and Hexed are all haunted houses sure to frighten! Whether you attend for the fun or the fright, there are plenty of Halloween-themed places to eat. Night of the Living Fed, a buffet filled with some friends who have risen from the dead, and Boeckling’s Banquet, an upscale dining experience with eerie service, are sure to satisfy your stomach and your Halloween cravings. HalloWeekends is a treat everyone needs to experience. 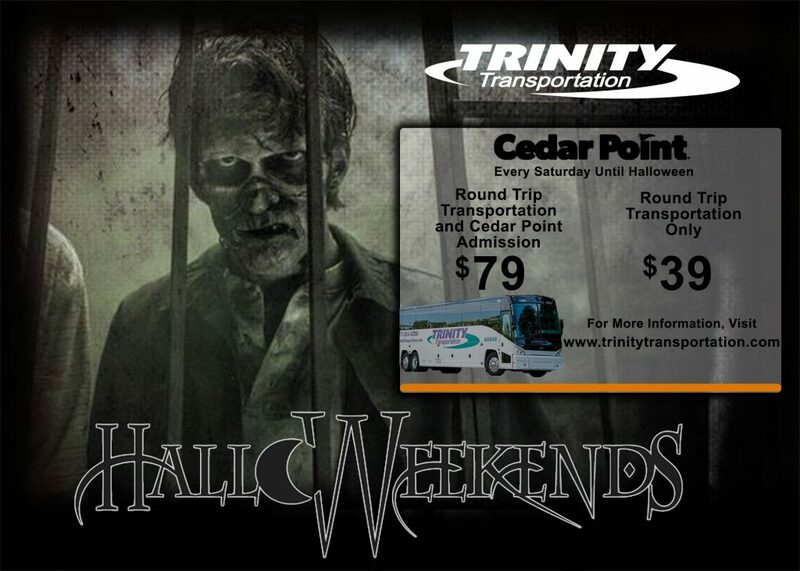 For a fun Saturday filled with Halloween thrills, book your trip with Trinity Transportation today! End the Summer Right With Trinity & Cedar Point! Summer break is coming to a close and the school year is fast approaching, so get your friends and family members together for one last trip down to Cedar Point with Trinity Transportation! Take the trip in our luxurious motorcoaches, equipped with free wi-fi, large comfortable seats, power outlets, panoramic windows, and restrooms. 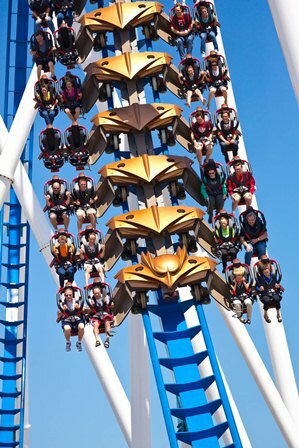 Cedar Point has many new rides, food options, and shows to see before going back to school! The ride formerly known as RipCord has been renamed Professor Delbert’s Frontier Fling – a sky high (15 stories to be exact) flying adventure that sends you soaring above the Frontier Trail at 65 mph. The Iron Dragon is now virtual! From now until September 4th, guests ages 13+ can wear a virtual reality headset while riding the rollercoaster for an awesome new experience. Cedar Point has a mobile app that is back for its second season. Park-goers can join a “coaster alliance” and enter a friendly competition in “The Battle for Cedar Point”. Guests can also answer park trivia questions, scan targets to gain points for their alliance, and play unique mini-games while in line. Don’t worry about using up all of your data either – Cedar Point has free wi-fi! In addition to the terrific new rides and app features, Cedar Point has added new dining options. If you’re hungry or thirsty, the park has you covered. Enjoy delicious shredded meat sandwiches and gourmet macaroni and cheese from Root’s (near the Scrambler), and head over to Melt Bar & Grilled (near Planet Snoopy) for interesting takes on the classic grilled cheese sandwich. Make sure to check out their sandwich exclusive to Cedar Point and their full-service bar. Famous Dave’s BBQ Shack is on the Frontier Trail, ready to fill your barbeque cravings with pulled pork sandwiches, brisket, ribs, and more. If you’re in search for pizza, make your way to Wagon Wheel Pizza in Frontier Town. Be prepared for mouth-watering hand-made pizza with traditional toppings of cheese, sausage, or pepperoni. And don’t forget your side of flavorsome breadsticks! If you tend to drink a lot of liquids throughout your time at the park, Cedar Point has a season pass drink plan that gives you the option of selecting a disposable cup or refillable drink bottle at the beverage stations for unlimited fountain drinks all summer long. The new shows at Cedar Point are definitely worth watching! “Peanuts Perfect Day” is a fun celebration from beginning to end with music, dance, and all of your favorite Peanuts characters. Find it in Celebration Plaza – and don’t forget to stick around after the show to meet the Peanuts! “Lights, Camera, Action” is a musical journey that takes you through the greatest numbers from your favorite movies, from “Singing in the Rain” to “Hairspray”. The show “Luminosity” is back for its second year. Experience aerial artists, pyrotechnics, energetic dancers, live music, and more with this awesome celebration! Book your tickets now to end your summer right with Trinity Transportation and Cedar Point! Win Free Tickets and a Ride to Cedar Point on May 23rd! Trinity Transportation has partnered with 101 WRIF to celebrate Cedar Point’s new ride, Rougarou! On Saturday, May 23rd, 101 WRIF could send you a guest down to Cedar Point on one of our luxury Motor Coach buses for free! Aside from getting to ride Rougarou, you will get to check out Cedar Points Brew and BBQ event that has 100+ craft beers. All you need to do is listen to WRIF’s station or enter online at 101 WRIF for a chance to enter and win! In the meantime, check out some of Rougarou’s first runs and see if you can handle the intensity! We won’t deny that the Gatekeeper is our most anticipated change to Cedar Point this year, who can argue that? Gatekeeper is the tallest, fastest, and longest wing roller coaster in the world. It breaks seven world records. But then, would you expect anything less from Cedar Point? On top of the anticipated Gatekeeper, Cedar Point will also be working on other areas to improve the experience of guests. Know the beach you see from the Wicked Twister that you have no idea how to get to? Cedar Point’s new vision for it includes live music, food vendors and more, giving visitors more of an “island vibe” on the sand. Fast Lane Tickets let you bypass regular lines on more than 20 rides. You can ride as many times as you want all day long. When you only have one day to spend in the park, it may be worth the extra dough. A a full-service, luxury charter bus making trips to Cedar Point from Detroit all summer long. We know the drive can be grueling, especially the “are we there yet?”s and the “I need to use the bathroom”s. Trinity Transportation has you covered. Between the Gatekeeper, fast lane tickets, and the Cedar Point Charter, this summer is sure to be the best trip to Cedar Point ever. We know we can’t wait! 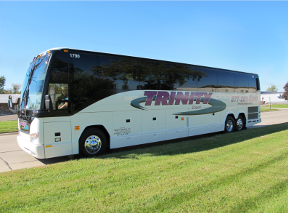 For more information about the Cedar Point Charter, please visit our Cedar Point Charter page or contact Austin at austina@trinitytransportation.com or (888) 995-5898.